Peas are in season right now, so they’ll be tasting their very best and will deliver wonderfully healthy nutrients. They are a great summertime food and can be included in lots of different recipes. Moreover, they come in a variety of shapes and sizes as we’ll find out! 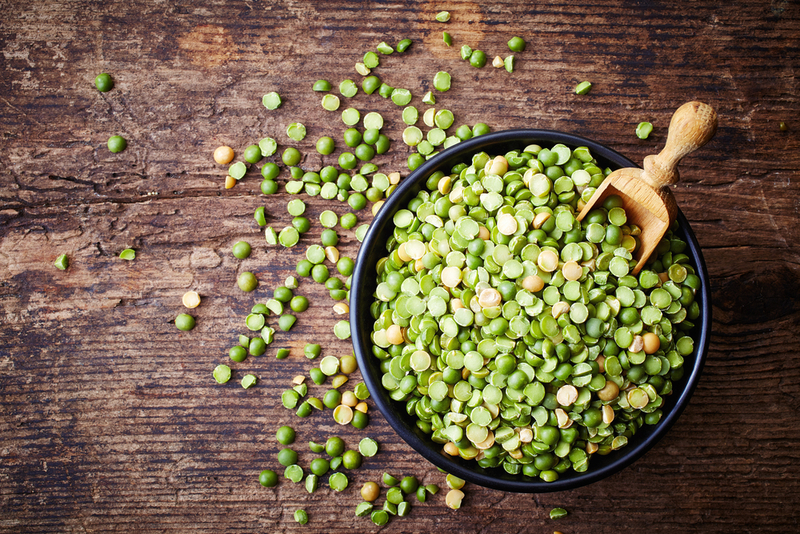 Clinical Nutritionist, Suzie Sawyer, gives us the low-down on peas. From the family known as Fabaceae, we are all acquainted with the traditional green pea. However, they also come as mange tout (often known as snow peas) and sugar snap peas. Peas can also be dried and are then usually called split peas. Peas are legumes, which are plants that bear fruit in the form of pods. 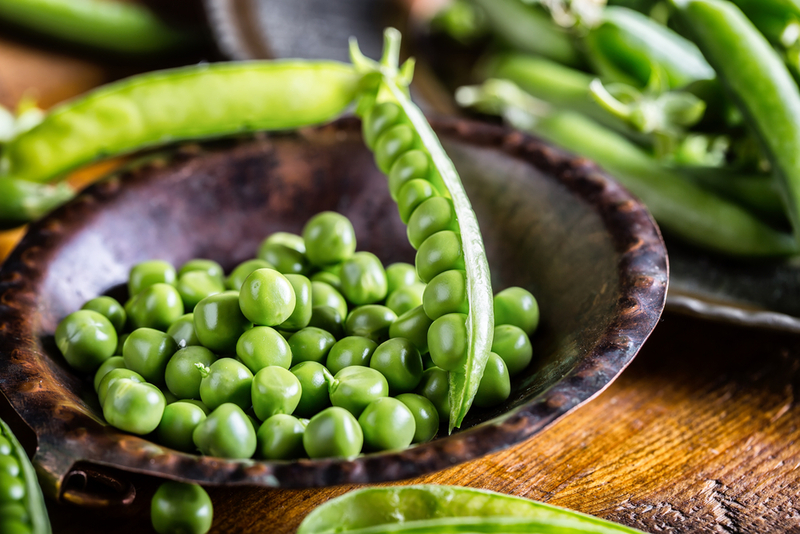 Of course sugar snap peas and mange tout contain edible pods, whereas green or garden peas have a much tougher outer pod which isn’t usually eaten. 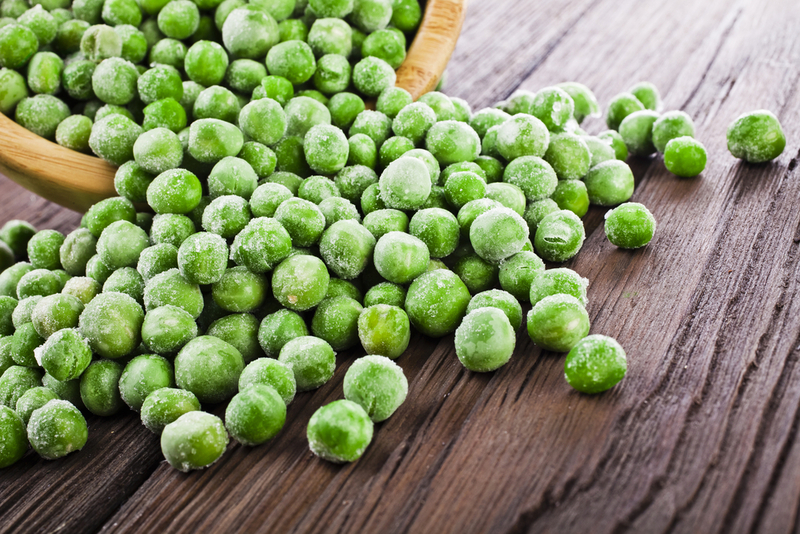 Green peas are very often eaten from frozen and are a ‘staple’ vegetable that most of us have in the freezer. 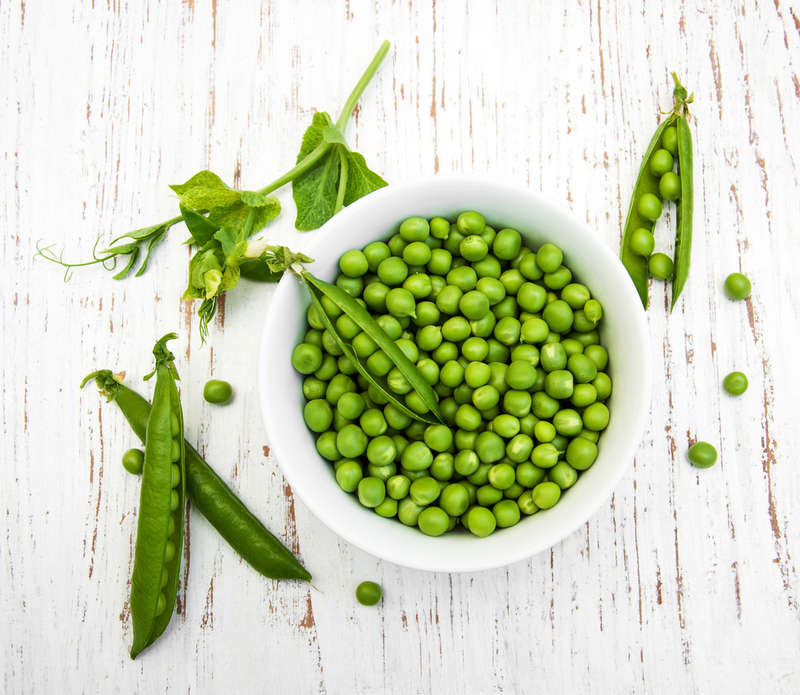 From the moment they are harvested, peas start to lose their vitamin C content and their natural sugar content starts to be converted into starch. As freezing usually takes place very quickly after the pods have been picked, their chemical changes will be minimal. 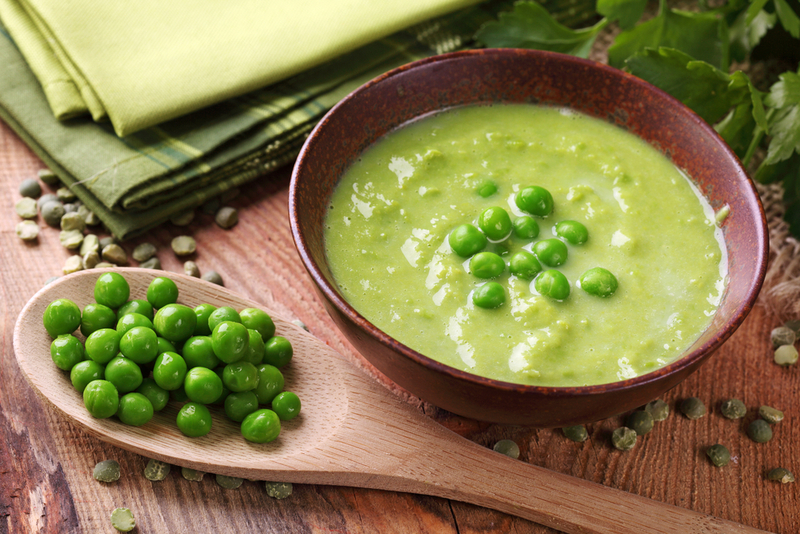 Frozen peas still contain far more nutrients than tinned peas, providing plenty of fibre, folate (great for the heart) and the bone-loving mineral, phosphorus. All richly coloured fruits and vegetables contain wonderful health benefits, in particular, a wealth of antioxidant nutrients to prevent disease and to help hold back the years. However, peas in particular also contain high concentrations of the carotenoids lutein and zeaxanthin. These two nutrient jewels are known to protect eye health; they seem to block blue light from reaching the retina which can lead to macular degeneration. Moreover, these carotenoids promote good eye health generally and help maintain good eye sight long into old age. Peas are also very low in fat, high in vitamin K (also good for the heart and bones), as well as energy-giving vitamin B1. Peas are most often eaten as a vegetable side dish, as are mange tout and sugar snaps, but they’re also great added to a summer frittata, which can be eaten hot or cold. Peas make wonderful soups either combined with ham or mint, and are an excellent addition to a summery seafood risotto. Sugar snaps are wonderful added to any green salad and mange tout is a great addition to stir-fries. Split peas are actually dried peas; they split naturally once the skins are dried and removed and are often yellow in colour. They sometimes get forgotten when up against green peas, but they are still wonderfully nutritious. Clearly, enjoying fresh foods is certainly best but split peas provide really high amounts of fibre, so they help to keep the bowels moving. Additionally, their high fibre content makes them very effective at reducing cholesterol levels. Furthermore, as with all legumes, they’re low on the glycaemic index meaning they keep blood sugar levels in check; this is especially helpful for those trying to lose some pounds. Something about split peas which is not widely appreciated is that they are high in the trace mineral molybdenum, which helps detoxify sulphites. Unfortunately sulphites are widely used as preservatives in a variety of foods, particularly salads and prepared meats. People allergic to sulphites may suffer from headaches and other unpleasant ailments. However, having sufficient molybdenum stores in the body, will hopefully negate any of these problems. Split peas are great when used to make thick soups, stews, curries or broths containing strong flavoured foods such as chorizo. Importantly, as with other legumes, they are a very good vegetarian source of protein so can be used as a main meal in a dahl dish, for example. Dahl can be made using tinned tomatoes, turmeric, onions, vegetable stock and curry leaves. It’s wonderful eaten on its own or as a side with some grilled fish or chicken. So add more peas to your diet this season and enjoy the health benefits of this versatile vegetable.